Calling for volunteers, mentors, and individuals to lead workshops for the 2018-19 school year!!! We have opportunities for anyone and everyone to join us during the 2018-19 school year, regardless of your experience or amount of available time!!! Please review the options below! 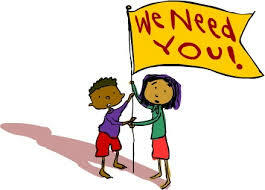 Volunteer - We need volunteers to assist with school field trips during the day! Help lead classes through various experiences at NKY Makerspace!! Don't have experience? This is not a problem... we can schedule a time to learn the technology/equipment/lessons in advance! Can't help during the weekday? We host a variety of evening workshops and STEAM Saturdays, and we would love your help on these dates! Mentor - Research shows that mentors can make or break student goals and pathways... we are looking for both men and women who are currently working or invested in any of the STEAM fields to help mentor/provide mentoring experiences for our high school interns and club members! Lead a workshop/class - Individuals who are passionate about an area of STEAM can lead a workshop or class here at NKY Makerspace in the evenings/weekends! We welcome any and all STEAM classes to benefit the youth of Northern Kentucky! Please select the area of interest. You may choose more than one. Thank you for completing this brief form. Emily will contact you as soon as possible in order to provide additional information, answer any questions, and to create a plan for moving forward!